500 ml dark glass bottles with easy pour spout caps. If you would like to have the oil available at a store near you, talk to the store manager and perhaps we can arrange to have them carry it. 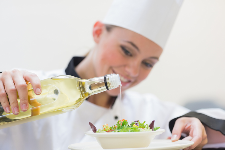 If you really like our sunflower oil make sure you tell your friends and share your recipes on our Facebook page. All sunflower oil is made from Non GMO sunflower seeds. 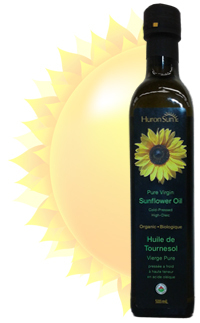 Sunflower Oil - Simply Delicious! 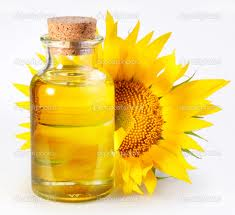 Sunflower oil is not only good for you, but absolutely delicious as well. Delicious with roasted root vegetables and in multi-grain baked goods. Contains 7 grams of Monounsaturated fats per 10 ml serving. Light delicate taste of sunflower seeds. A healthy alternative to olive oil.